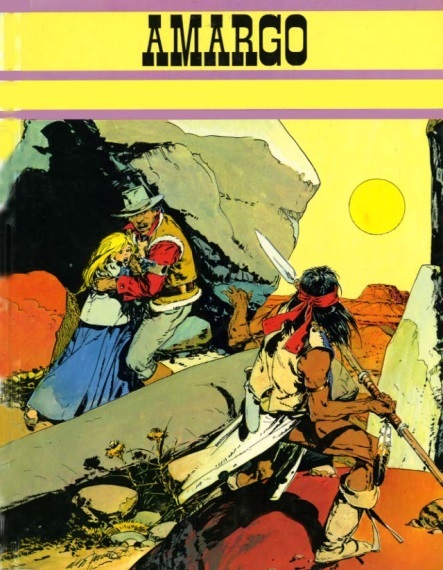 Amargo was kidnapped as a child and raised by Apaches. From them he learned combat techniques, tracking and developed qualities such as courage, honesty, loyalty, generosity. Unfortunately, the ephemeral nature of the series prevented the development of a promising character that surely would have shone in the universe of Western cartoons. Only two albums were published in France: Bitter, 1, French edition. Click to enlarge. Bitter, 2, French edition. 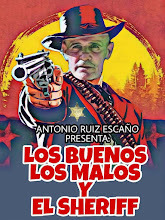 The dance of the vultures, which attack a ranch and abduction of a child, after the murder of his parents, by a party of Apaches under the command of "Manolito" is reported. 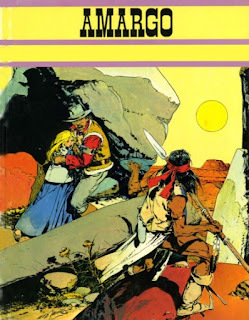 Follow his rescue by Amargo, Cactus and another geezer, prospector and whiskey lover, Hank 'Miseries', who have to face the Apaches and a band of gunmen who want to save the girl to collect the ransom. 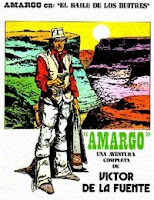 When Amargo returns the girl to her grandfather he refuses the reward, because he has rescued, not for money, but for her to avoid the same experience he had as a child. Requiem for a judge, a story of struggle between landowners for possession of a land rich in water. A sympathetic judge, loving letters and reaches "fleecing" a cactus, is the character of the story that leads to the outbreak of the crisis providing evidence against the ambitious Rainwater. In this episode we learn that Amargo took part in the peace talks between the Indian tribes and the army, he even injured a fanatical officer who wanted war. 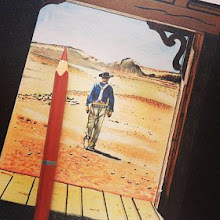 The character is rich and interesting and fits into the long tradition of the lonely characters with a past in tow weighing them down as a cross. 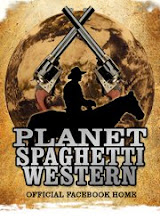 If the series had continued, we certainly would have seen beautiful episodes masterfully drawn by an author in the domain of his art and that is in his element describing the harsh and rocky desert landscapes, ranches with countless interior details such as furniture and utensils or an artistically decorated blanket, contributing to the creation of a tasty true atmosphere. 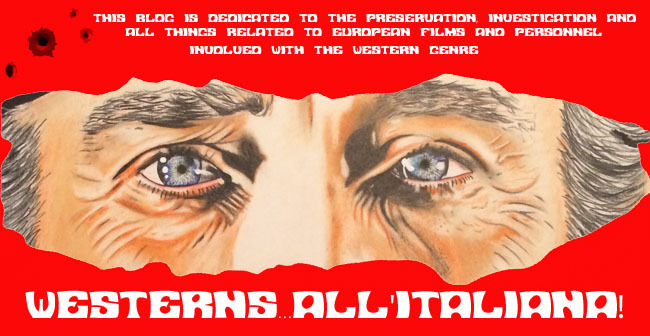 Amargo has a similar face to Mortimer, but much less harsh, probably based, in the tradition of Charles Bronson and Franco Nero, the Italian actor of many Italian Western, including Django. Despite his humor, his love for life and justice, bitterness is there, as a symbol of the duality of the character. It is the bitterness of exile itself. Uprooted from his early childhood, brought up by the Apaches, ie by holders of a different culture, Amargo has adapted and built on the positive aspects of this supplementary culture is nurtured and enriched by the contributions of the culture the country you visit. It does not prevent the experience that is always hard, that involves a dose of suffering, frustration, longing, and leaves the mark of suffering in the flesh, in temperament, in the soul. The exile is marked forever, as Amargo in his personality, in the expression of his face, in bitterness, in his constant wandering. 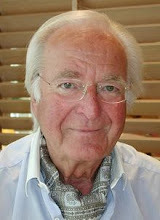 Víctor de la Fuente was born was born in Ríocaliente, Spain on April 12, 1927 into a Spanish family of artists. He worked in advertising and illustration in South America. 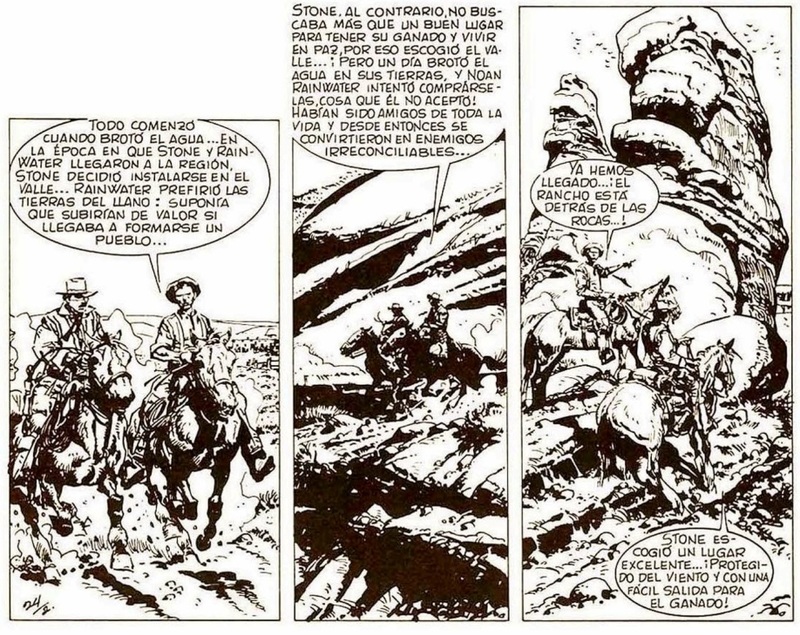 Back in Spain, he devoted himself to comics without neglecting the novels of illustrations, including science fiction. He also worked with Jean-Michel Charlier on Gringos. Víctor de la Fuente won several awards. 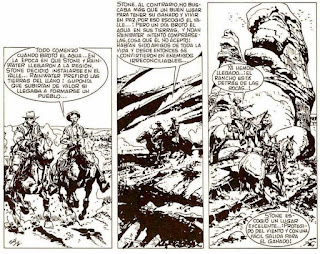 His last works were a series of Tex Willer stories for Italian publisher Sergio Bonelli Editore and the French album Aliot, written by Alejandro Jodorowsky. De la Fuente died in Le Mesnil-Saint-Denis, France on July 2, 2010 and was buried at Le Mesnil-Saint-Denis.